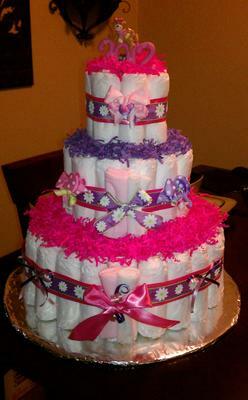 I made this diaper cake for one of my husband's co-workers, she's having a girl next month. I thought the pink and purple combination was cute. I used about 80 diapers, bought a cute little 2012 ornament for the topper and the pretty little barrettes doubled as bows.